Vitamin Infusion IV Therapy - Can It Really Improve Skin? Can Vitamin Infusion IV Therapy Make Your Skin Glow? I love weddings. And what’s not to love?! There’s food, dancing, champs and of course the beauty prep. I especially love the beauty prep. I am a beauty blogger after all, and while my husband thinks I’m stressing myself out, I actually enjoy the process of fretting for weeks over what to wear, usually renting or buying a new outfit; cutting out foods, like cabbage, beans and salt to avoid being bloated; and making sure my beauty prep is on point. Though, I know no one is going to even look at me, let alone giving two s*&#@ what I’m wearing, it is all about the bride after all, I just love the process of getting shined up like a new penny. So when we went to Asia last month, first to Tokyo for fun and then onto Taipei for a celebrity wedding (my husband’s best friend married a Taiwanese actress), I really went over the top in lieu of the fancy affair and got in addition to the usual – facial, manicure and pedicure – an antioxidant IV vitamin infusion, in fact two, at Le Coquelicot while we were in Tokyo. The whole process took around twenty minutes each time. The nurse hooked me up to an IV and I sat on a couch in their waiting room surrounded by two other patients also receiving vitamin infusions. I scrolled through the news and Instagram on my phone while I waited. The first vitamin infusion I had was a mega dose of 25g of Vitamin C in the form of ascorbic acid and cost 9,180 Yen, roughly $80. The second one I had five days later was a mega dose of 800mg of Glutathione and cost 4,860 Yen, roughly $42. Both are powerful antioxidants that reduce inflammation, help repair DNA damage and help heal and repair the skin, according to Dr. Andre Berger, MD and founder the Beverly Hills anti-aging clinic, Rejuvalife. But he says in particular, “Glutathione, when given intravenously, is extremely effective at staving off oxidation,” one of the main culprits behind aging. “Because you bypass the gut,” explains Dr. Berger, “these antioxidants get right into the blood stream, circulate and get into the cells and the tissues in the most efficient way possible.” But he points out there are no definitive scientific studies proving that they improve the skin. The studies many vitamin infusion clinics base their claims off of when extrapolating to anti aging skin benefits come from anecdotal reports, he says. 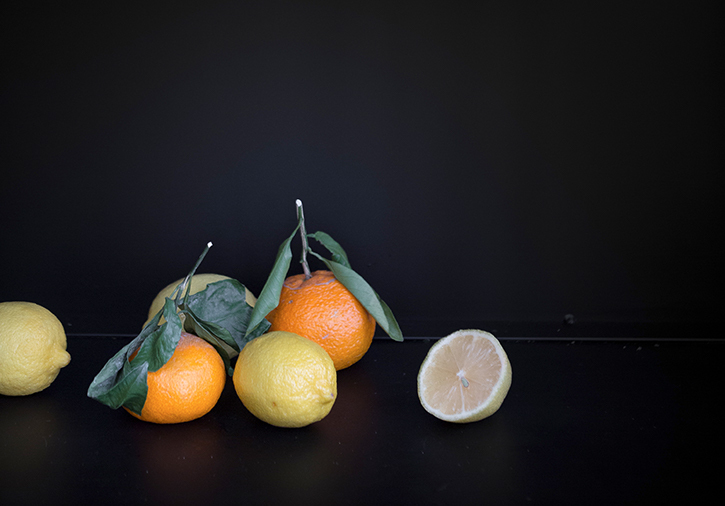 Like this anecdotal study published in the PRIME: Internal Journal of Aesthetic And Anti-Aging Medicine in 2015, that showed Vitamin C and Glutathione improved skin hydration and whitened the skin in Asian patients over multiple sessions. When I told Dr. Kuriko Kimura, the director at the Le Coquelicot clinic, I was interested in getting a serious glow before an upcoming wedding she recommended the Vitamin C and Glutathione vitamin infusion combo. She said the best results were seen with regular treatments, but that I would be able to see an improvement in time for the wedding. After each infusion I left with a serious energy kick and a little bit light-headed, but it was hard to tell if my skin was improved until I saw the photos side by side. 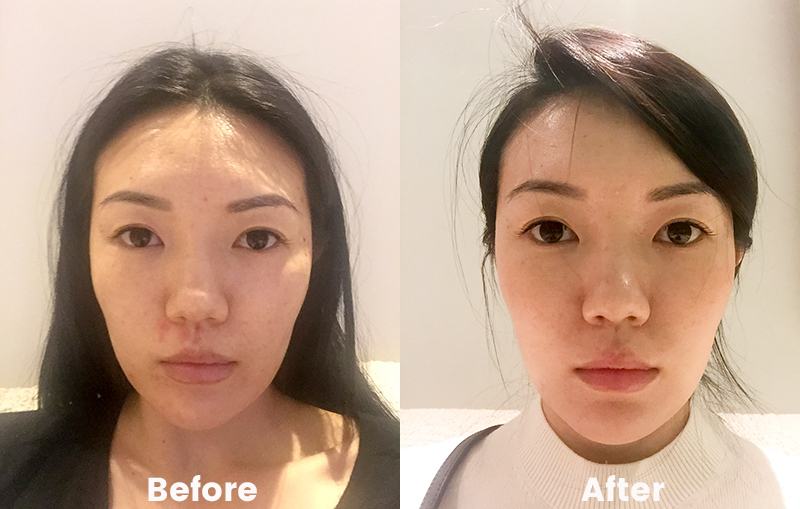 I took a before photo and one after the second infusion and though it’s subtle, I do notice my skin looks less sallow, more even and a little more youthful looking, and the red acne scars from a couple of healed pimples near my nose faded. While these treatments aren’t practical for everyday life, they were a fun boost that I may try again for special occasions, but for everyday, I’ll be sticking to oral Vitamin C and Glutathione supplements. Read more about my beauty adventures in Tokyo – where to shop, why placenta is the beauty ingredient of the moment in Japan and the best drugstore beauty products.